3,132 sq ft; lot: 1.26 acres - MLS# 1621023 Courtesy of Shorewest Realtors, Inc. 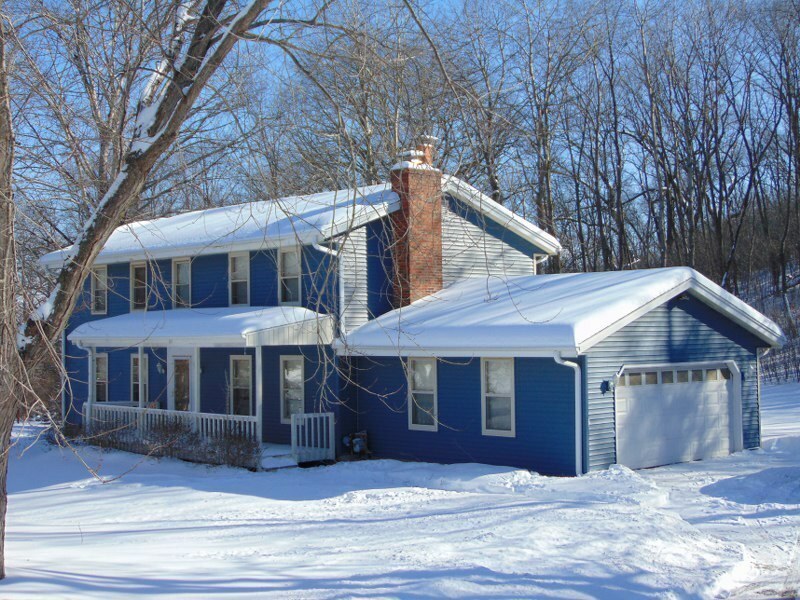 Spacious 4BR /2.5BA Colonial nestled on a wooded lot! Eat in kitchen with hickory cabinets, Granite countertops, pantry and dinette leading to patio. Cozy family room with brick NFP and hardwood floors. Plus formal living room and dining room. Main floor laundry. Huge master bedroom with walk in closet and private bathroom. Upper has three more nice sized bedrooms with ample closet space and bathroom. Finished lower level rec-room great for entertaining or possible office space area and work out room! Newer patio overlooking your private back yard with wooded views or hop in the hot tub. New roof and siding 2014. New Furnace 2016. Two and half car garage with cabinetry and work/storage space. HSA Home Warranty included. Home needs updating, great location! Motivated Seller!